Former Kharlamov Cup finalists shared their memories of deciding Junior Hockey League games and sent a message to Avto and Loko players. “As a captain, I felt a greater pressure, because it’s usually head-coach and captain who take the responsibility for losses,” says Bondyrev. “But on the other hand it’s great to be the first one to touch Kharlamov Cup. It brings new emotions in life. “Loko captain has a bit of a different role than on other teams. Usually captain is the leader, who scores the most goals and gets a lot of points. But on Loko captain is medium between the team and the coach. Being named the captain doesn’t make you special and the C on your crest doesn’t give you any special rights. Obviously, it felt great when I returned from VHL team and the coaching staff named me the captain. It was important for me to captain the team in the playoffs. 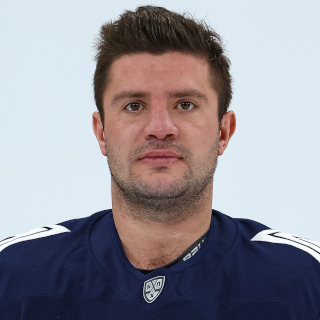 I felt a little sad for Vladislav Chervonenko, who captained the team throughout the regular season. But this season he’s going to lead Loko to the cup. “I remember last year’s finals to be of a mirror scenario. We lost Game 1 in Yaroslavl in the shootout, then we won Game 2 and then it was vice-versa in St. Petersburg. We won in regulation and then we lost in the shootout. I also remember the last game of the series. While all other games were 1-goal games, the last one was a free-for-all – we won 7-3! “It was the first finals for me and for Loko,” reminiscences Krasotkin. “Yaroslavl had been building a strong team for years and everyone was working towards the same goal – winning Kharlamov Cup. Unfortunately, we couldn’t make the finals for a long tie. For example, a year before we won the championship, we finished third as we lost to Chayka Nizhny Novgorod in the semifinals. Even though I didn’t play in those games because I was called up to Team Russia for the U18 IIHF World Championship, it was crucial for me to beat Chayka in the final the year after. “We lost Game 1 of the finals 8-0,” says Bogdanov. “I remember a lot of people coming to the rink in Nizhny Novgorod, so Chayka put the pressure early on. Perhaps, it also had something to do with the fact that it was the first finals in our careers. Until that season, we hadn’t even been to the semifinals. So we didn’t quite understand yet what we got ourselves into. 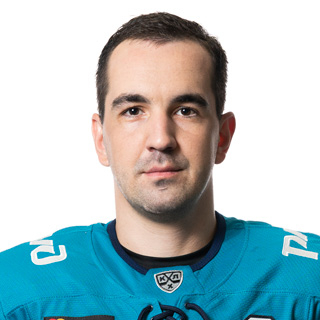 “I played the entire Gagarin Cup Finals with Dmitry Yudin and Alexander Barabanov. After the final game of the series, everyone on the team went on to celebrate with the cup, while we jumped into a minivan right away and a few hours later joined SKA-1946 in Nizhny Novgorod. It was an exciting experience to play in two finals in one season. Although, I didn’t feel like I contributed to KHL’s team success. After all, I didn’t play a single minute in the finals. I was just a backup goaltender. When I went back to the junior team, I knew that it was my team and my finals. “We were down 3-0 in the series but managed to win Game 4. We split the series with Igor Shestyorkin and I got the nod for Game 4. After that win, everyone remembered how SKA erased a 3-0 deficit in the series against CSKA and won in the end. We thought we could do the same. Game 5 was pretty intense but we failed to keep the series alive. “I was called up to U18 Team Russia after the first couple of round and made it back only in time for the finals when Spartak led the series against Krasnaya Armiya 3-2,” says Trushkov. “Maxim Tretiak was on Team Russia along with me and he played for the ‘army men’ back then. The series dragged on to Game 7 and Maxim and I played against each other. “Igor Shestyorkin got suspended in Game 6, so I got the nod for Game 7. I didn’t know anything about Tretiak back then. 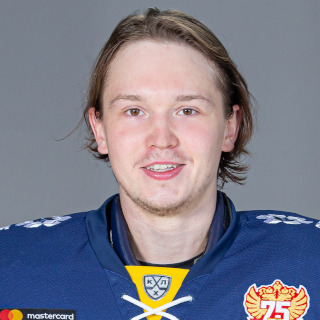 Everyone focused on the fact that Nikolai Prokhorkin joined Krasnaya Armiya then from CSKA, where he spent the entire season. So I found out that I was going to face Tretiak only when they announced the starting lineups at the rink. It didn’t matter that we were friends. Winning Game 7 was on everyone’s mind. Besides, Spartak and Krasnaya Armiya have a great rivalry going on. These games are crucial and both teams were pretty strong. “Those months were very difficult but it was exciting. First we practiced at Novogorsk, then came the U18 IIHF World Championship and then Kharlamov Cup Finals. I was in Grade 11 at the time and skipped two months of school. So I didn’t get to celebrate after we won the finals. I went to study with my math professor the day after. I passed all my tests in the end. “It was five years ago but you don’t get to forget things like that. It was my first full season in the juniors – I had played just a handful of games the year before. Oleg Vladimirovich Bratash was our head-coach. He bonded the team and gave it a great structure. I still remember the atmosphere in the dressing-room that Bratash had built. It was so great. It was a pleasure to be there. “And he did it despite the fact that Spartak had fallen on some hard times. Our main sponsor got his license revoked during the season so we literally played for the rhombus on our crest. Due to financial difficulties many players left our pro team, giving a fighting chance to us – young players. Money wasn’t an issue at the time. It was a huge leg-up for us to play for the KHL team. Unfortunately, we missed the playoffs that year and lost a ton of games, but it was a priceless experience. “Wins like that stay with you for a long time. I remember that year better than other,” says Mozer. “I remember the deciding game of the finals. We beat Spartak in overtime and I scored one of the goals. It was great to see sold-out crowds in Omsk. Junior Hockey League games rarely drew 9,00 fans at the time. So emotions were flying high. “Everyone in the dressing-room was so happy after the win. We got joined by our relatives and we celebrated the win with them right there in the dressing-room. Some guys took the cup for a day after that and took pictures with it. 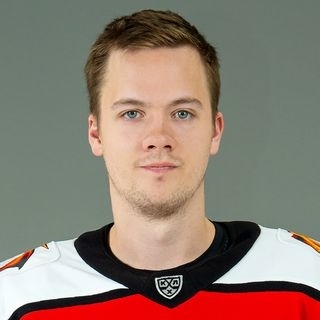 I had a lot of positive emotions that season – I made my debut for Avangard, won a bronze medal at the World Juniors in the winter and then won Kharlamov Cup. Both of my medals from that season are now displayed at my parents’ house. They are prestigious awards. “Krasnaya Armiya had trouble with defensemen in that post-season. We lost quite a few of them to injuries,” reminiscences Kulyomin. “So I, as one of the ‘veterans’ had to switch to playing defense starting from the quarterfinals. That’s partly why I struggled scoring points in the playoffs. Playing defense was new to me. I focused on protecting the net rather than scoring goals and assists. Actually Nikita Zadorov was one of our defensemen that season but I wasn’t paired with him. I mostly played alongside Artyom Blazhiyevsky. 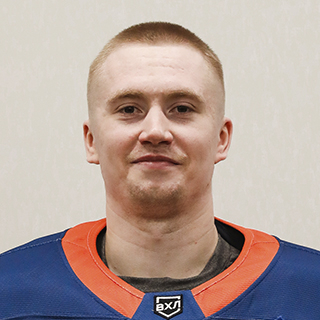 “I remember my first season the most,” admits Potekhin. “We had a solid regular season, leaving no chance to anyone in the East, did well in the playoffs and then were lucky enough to defeat Kuznetskie Medvedi in Kharlamov Cup Finals. We wanted to repeat the success a year later and had a tough road to the finals but Krasnaya Armiya deserved to win that year. ‘Army men’ had Nikita Kucherov and Nikolai Prokhorkin on their roster that season. I played with them for Team Russia at several tournaments and they were the key players. “We couldn’t win a single game in the finals series. 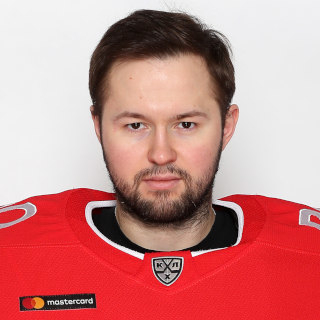 We had trouble with our roster as we lost our starting goaltender Dmitry Voloshin, who helped us win the cup in the previous year. So we were really missing him. But we still played solid hockey. In any case playing in the finals is awesome! The games are always sold-out and the game are very exciting. 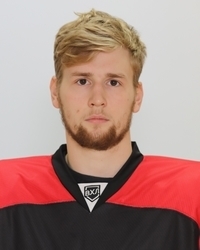 “Stalnye Lisy won two medals in their first two Junior Hockey League seasons. We had a serious roster and experienced players. I don’t know what the ‘Foxes’ miss these days. I don’t know how the team lives. When I have the team, I check the scores and standings, talk to the coaching staff as we maintained a good relationship. Sometimes I watch the highlights of other teams and Top-10 goals of the week. “I played at the U18 IIHF World Championship for Team Russia that year. We lost to Team Finland in the bronze medal game, so I came back with no trophies. I had a great desire to win the cup with my team,” says Apalkov. “I made it just in time for the last few games. I went straight to Novokuznetsk. 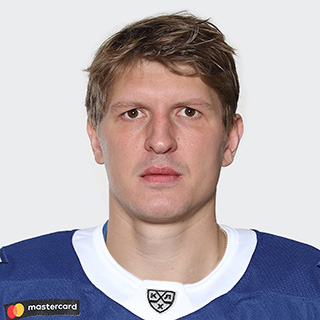 Kuznetskie Medvedi had Dmitry Orlov and Sergei Bobrovsky on their roster back then. It’s a great feeling to know that back in a day I faced hockey players who are now among the best in the world.